Diabetes is a leading cause of kidney failure, blindness, and amputations. If your body does not produce enough insulin or becomes resistant to insulin, sugar cannot be used for energy. Unfortunately, many of the drugs that doctors prescribe to treat diabetes may be more dangerous than diabetes, including Victoza, Avandia, Byetta, and Januvia. Many have dangerous side effects, and some have been associated with death. In spite of this, most of them remain on the market, bringing in billions for drug companies that are more concerned with profits than health. If you suffer serious health problems, or a loved one has died as a result of a diabetes drug, the pharmaceutical injury attorneys at Moll Law Group are able to represent you in a lawsuit for compensation. Billions of dollars have been recovered in cases in which our diabetes drug lawyers have been involved. Several popular diabetes drugs that are classified as incretin mimetics, such as Victoza and Byetta, have been linked to dangerous side effects, such as pancreatitis and pancreatic cancer. Onglyza has been linked to heart failure. Since these drugs were approved, the FDA has issued warnings about serious potential complications. However, once a drug is on the market, the FDA is unlikely to remove it. Often, the only way to obtain redress is by suing the manufacturer in a product liability lawsuit. Lawsuits have been filed against the manufacturers of these drugs. The lawsuits allege that manufacturers marketed the medications even though they knew that they were dangerous and failed to provide adequate warnings about the risk of pancreatic cancer and pancreatitis. A failure to warn is a type of marketing defect. All drug companies are supposed to stay alert to the possibility of serious side effects in connection with the drugs that they are marketing and provide adequate warnings about side effects and risks associated with taking the drugs. In most states, a drug manufacturer discharges its duty to warn consumers by warning their doctors under the learned intermediary doctrine. The rationale for this doctrine is that doctors are in a better position to help a patient look at the risks and benefits attached to taking a particular drug. For a person with severe diabetes, it may be worthwhile to take a particular diabetes drug in spite of the risk of contracting pancreatitis or pancreatic cancer. However, for someone who is borderline diabetic and has a history of cancer in his family, this risk may be too great. 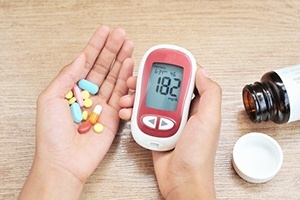 In some cases, it may be more appropriate to retain a diabetes drug attorney to sue a doctor for medical malpractice than to sue the drug manufacturer for a failure to warn. If you successfully prove that a diabetes drug was defective, you may recover compensatory damages. These include damages for medical expenses that you have incurred in connection with the side effect, lost income, lost earning capacity, pain and suffering, and mental anguish. There are cases in which drug manufacturers know of the risks of using their drug but conceal these risks from the FDA, doctors, and consumers. In these cases, it may be appropriate to request punitive damages, which are damages awarded to punish a drug manufacturer and deter similar future conduct. The size of a punitive damages award is expected to be proportionate to the size and wealth of the defendant, as well as the egregiousness of the conduct at issue. If you have been made sick by a defective pharmaceutical, the diabetes drug attorneys at Moll Law Group can sue the manufacturer on your behalf. Our firm represents consumers around the nation, including in states such as Illinois, Ohio, New York, Pennsylvania, California, Texas, and Florida. Contact us online or at 312-462-1700 to set up a free consultation with a product liability attorney.